02 Apr How does VR work? Virtual reality is all about making a simulated set-up that immerses users into a virtual world, but how does VR work? VR simulates the vision, and this can be done by using a VR headset, which puts up a screen in front of the user’s eyes. This eliminates any interaction with the actual world. The images on the screen are rendered either by using an HDMI cable connected to a computer or a mobile phone. Two autofocus lenses are usually placed between the eyes and the screen. The lenses adjust based on the user’s positioning and individual eye movement. The prerequisites for a completely immersive VR are a minimum 100⁰ field of view, a frame rate of at least 60fps and a competent refresh rate. The field of view is the extent to which the display can support the head and eye movement, while the frame rate is the speed at which the GPU can process the images shown on the screen per second. Screen refresh rate pertains to the pace of the display to show images. If any of these prerequisites doesn’t work as required, there will be too much time gap between the response from the screen and the user’s action. This is called latency. The response should be less than 20 milliseconds to trick the brain. This can be achieved by combining the prerequisites mentioned above. Cybersickness or tearing can occur due to the discrepancy between the refresh rate and the frame rate. The images can become distorted if the fps of the GPU is higher than the screen refresh rate. The main goal is to create a 3D virtual environment without the limitations associated with computer or TV screens. The screen mounted to the user’s face follows them. VR headsets like the Rift and HTC’s Vive use an HDMI cable to send videos from a computer or console to the headset. The Samsung Gear VR and Google’s Daydream headset, the videos are already stored in the headset. VR headsets send two feeds to one or two LCDs. The headsets are equipped with lenses that are placed between the pixels and the eyes. This is why the device is also called goggles. The lenses can be adjusted to match the distance between the user’s eyes. It focuses and reshapes the image for each eye and creates stereoscopic 3D images by angling the two 2D images to imitate how the eyes see the world. VR headsets improve immersion by enhancing the user’s field of view. Most high-end VR headsets provide a 100⁰ or 110⁰ field of view. A minimum frame rate of at least 60 frames per second is required to prevent users from feeling sick or avoiding stuttering. The image in front of you shifts as you angle your head or look up and down. This is called head tracking. A system called 6⁰ of freedom or 6DoF plots the head in terms of the Z, X and Y axis to measure the user’s head movements when they move side to side, shoulder to shoulder and backward and forward. Different internal components can be used in head-tracking systems like an accelerometer, magnetometer, and gyroscope. Head-tracking technology requires low latency to be effective. It should be 50 milliseconds, or there will be a time lag when the VR environment shifts or when the user turns his head. For instance, the Oculus Rift has a minimized lag of only 30 milliseconds. VR headsets can be used to improve the sense of immersion. Game and app developers can use 3D or binaural audio to take advantage of the head-tracking technology of VR headsets. Doing so can give users the sense that sound is coming to the side of them, in the distance or from behind. Big VR manufacturers are also working on motion tracking. Users see their hands in a virtual space when they look down while wearing a VR headset. For instance, the Oculus Touch makes users feel like they are using their hands in virtual reality. They grab the wireless controllers and use triggers, buttons, and thumbsticks during virtual reality games. Each controller has sensors that detect gestures like waving and pointing. The controllers for HTC Vive have two base stations that sweep the room with lasers and detect the exact position of the user’s hands and head. This is done based on the timing of when the user hit the photocell sensor around the handheld controller and on the headset. The controllers have physical buttons as well. It’s possible to simulate walking around a VR setting with in-game redirections by hooking a joystick or Xbox controller to your computer, treadmills, voice controls, and smart gloves. If you are using Oculus, you can track your physical position inside a room by matching it the HTC Vive. You can buy a third sensor and add more coverage to your VR play area. Another feature of virtual reality is eye tracking. The headset has an infrared sensor that monitors the eyes. It doesn’t only allow in-game characters to precisely react to where you are looking, but also makes the depth of field more authentic. Everything in regular VR headsets is in pin-sharp focus. In the real world, the foreground blurs when your eyes look at an object far off. VR headsets are equipped with a graphics engine that simulates this in a virtual space. A hi-resolution displayed is needed to prevent the effect of viewing through a grid. What the eyes focus on should be as realistic as possible. If there’s no eye tracking involved, the user might experience simulation sickness. This is because everything in focus as they move their eyes, but not their head. 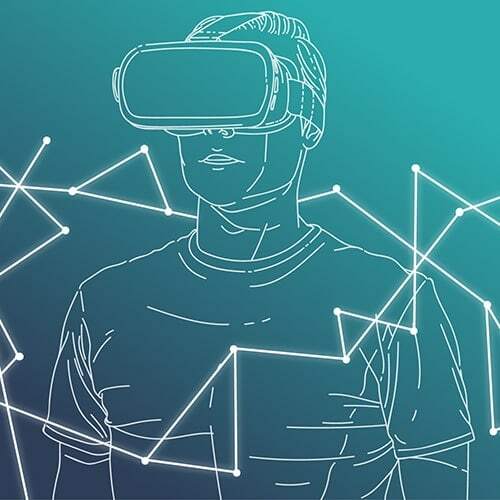 VR technology offers a lot of opportunities for brands to create wonderful marketing content, allowing them to attract customers and establish themselves as leaders in innovation. New developments in the future will create a truly immersive experience for everyone. Big companies such as HTC, Google and Oculus are investing a lot of time and effort in improving the current capabilities of VR headsets.